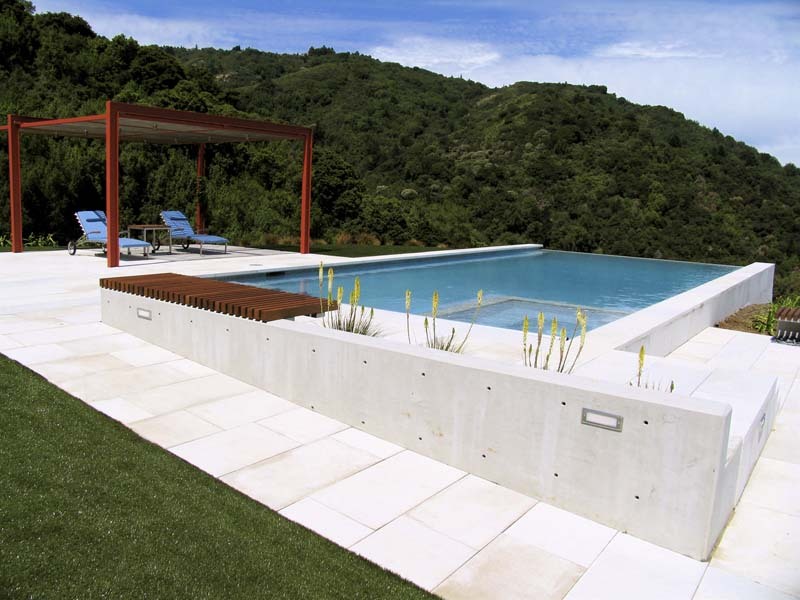 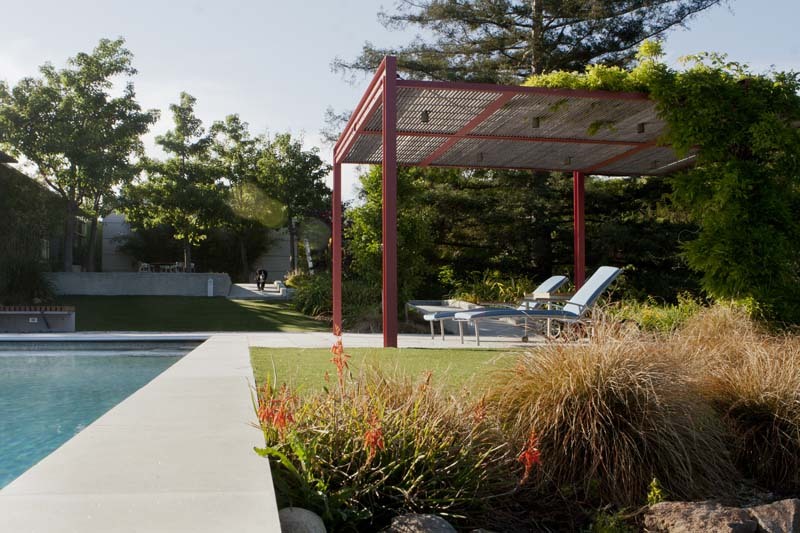 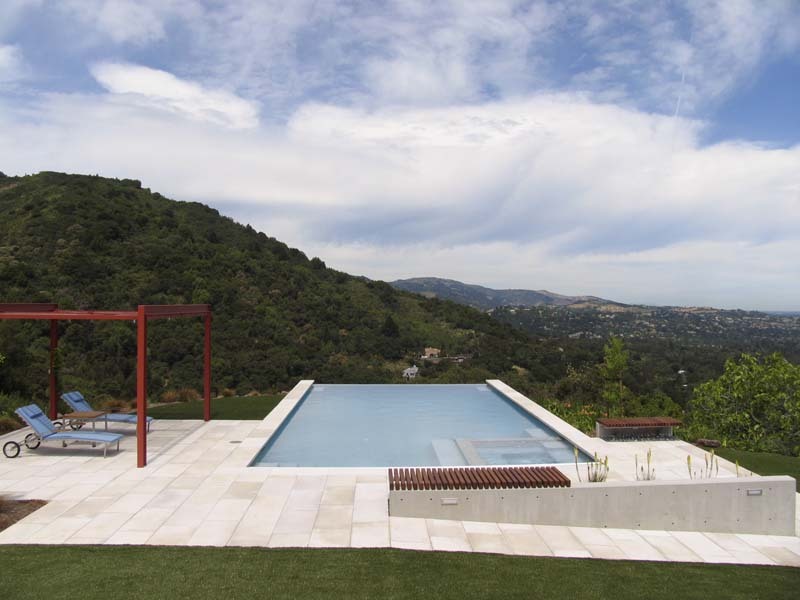 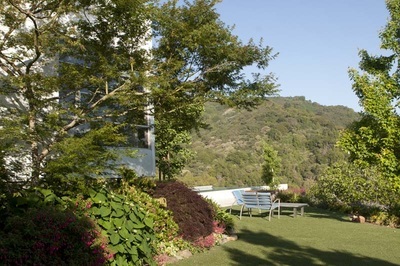 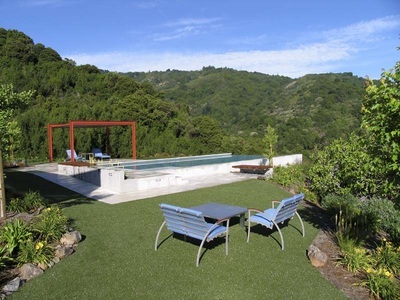 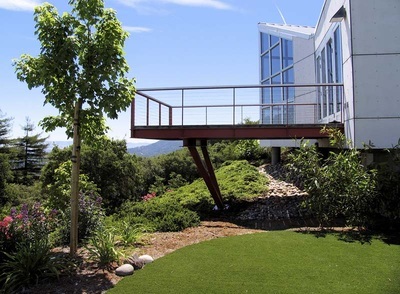 This contemporary garden was a challenge because of the steep slopes and frequent elevation changes but elevation became an asset in the design of the vanishing edge pool. 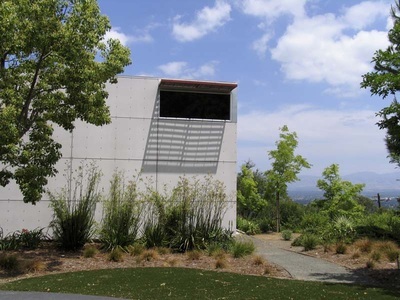 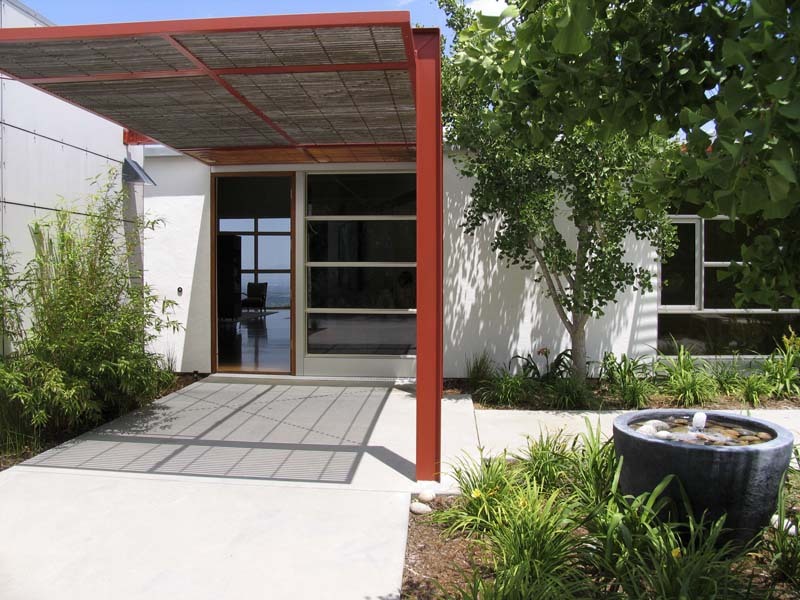 The paving of Napa stone was used to create a sleek contemporary look to relate to the architecture of the residence. 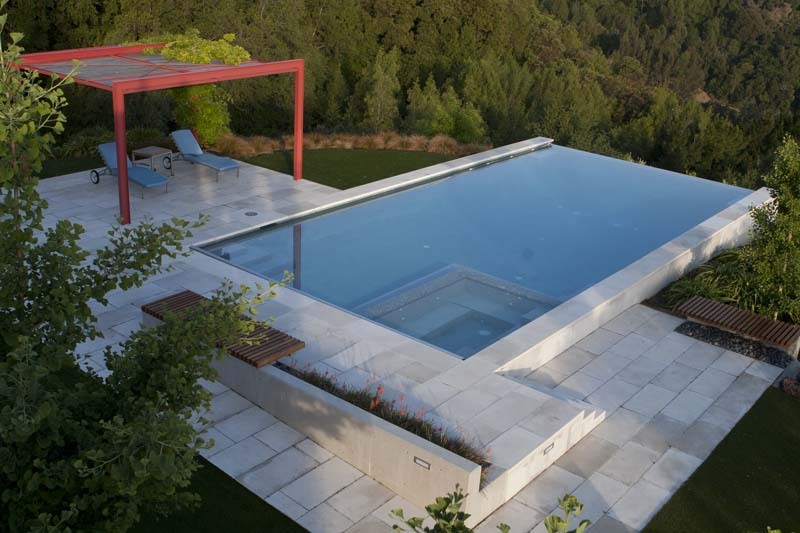 The glass bisazza pool tiles also added to contemporary design. We painted the arbor a striking orange to play against the sky and climbing wisteria. 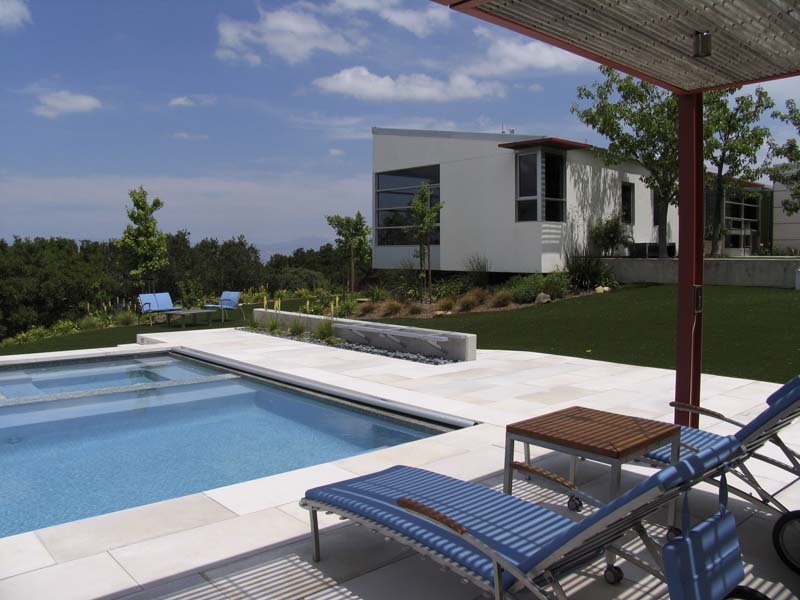 Likewise the house made use of fun colors to play with the contemporary shapes. The clients requested unusual plantings and wanted plants with interesting shapes as well as plants that featured yellow flowers. 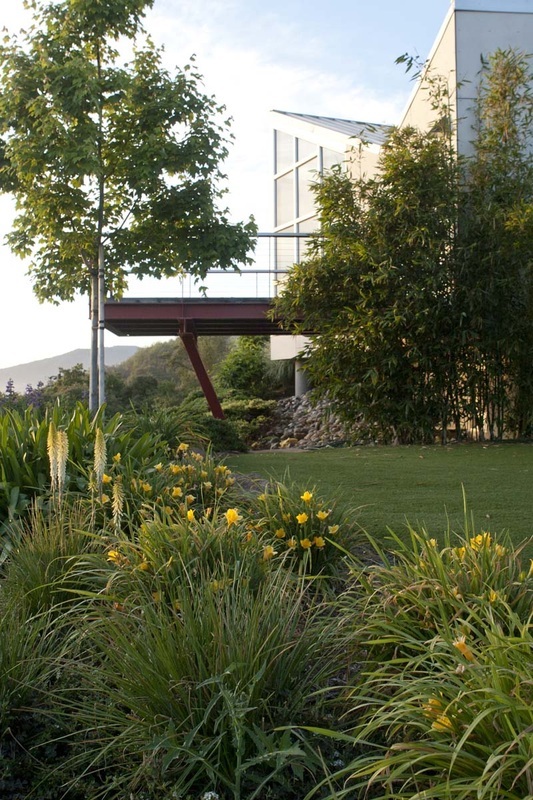 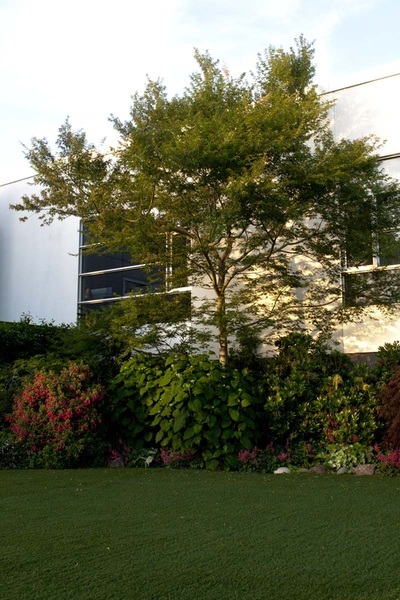 We used the planting to frame the views and either contrast or relate to the native surroundings. Because one of the owners is handicapped we needed to design the pool and garden with special considerations for special use. 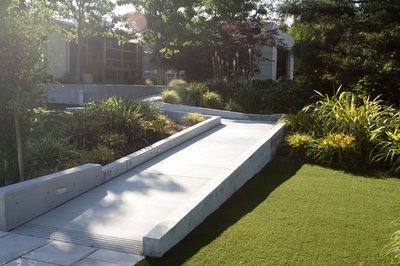 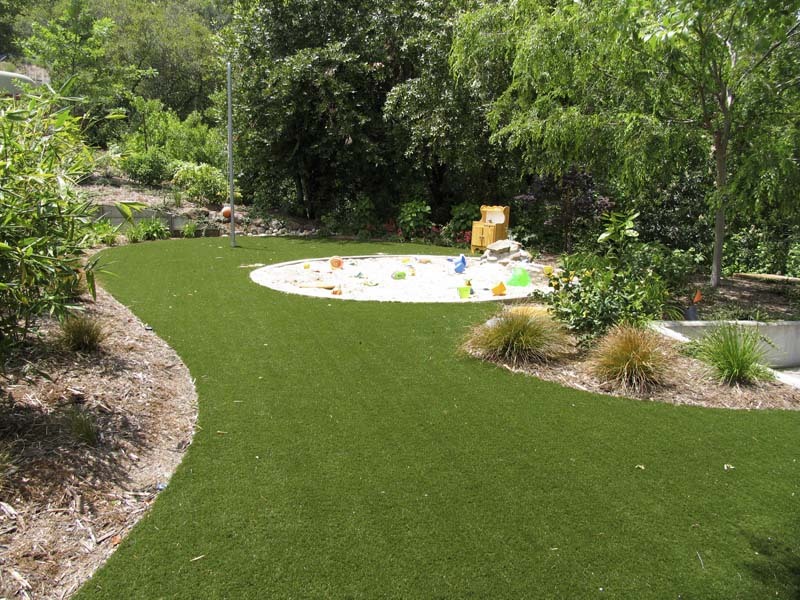 We used artificial turf because then the lawns would require no water on the hot top of the hill but also because the lawns could then be wheel chair accessible. For the children we made use of an old water tank concrete rim and used it to edge the sand play area. 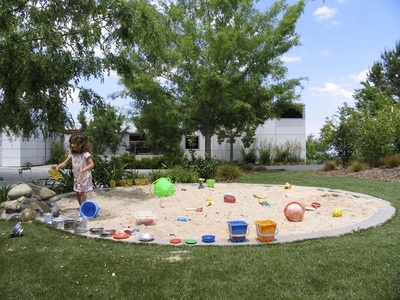 We added tether ball and plants that are of interest to children including a bamboo hidden walk, grasses, large flowering plants and fragrant plants. Most of the plants included in the design were low water varieties. 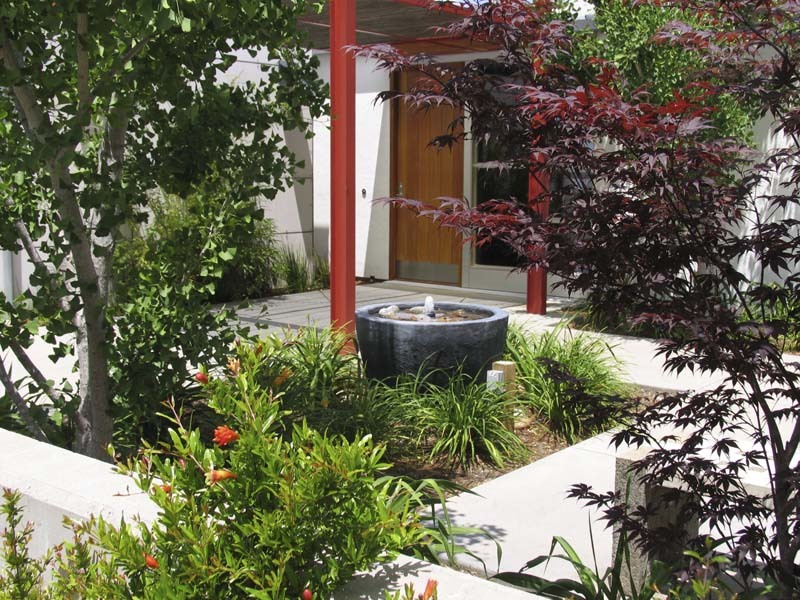 Another focus of the planting was to create seasonal color throughout the year.